It’s that time of year again! 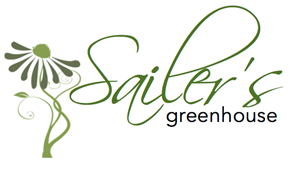 Sailer’s Greenhouse Winter Workshops are back. Sign up for one of our winter container workshops offered every Saturday throughout the month of November. No matter what the temperature is outside, you will be able to take in the scents of the season in our cozy greenhouse filled with fresh spruce tips, pine boughs, eucalyptus and other winter design essentials. Each of our classes will start with a demonstration, which will break down the basics of designing, creating and caring for a winter spruce tip container. After the demonstration, the design staff at Sailer’s Greenhouse will be on hand to help you create a truly unique and personalized winter container. With our creative vision and fresh ingredients, each participant will leave with a stunning DIY outdoor arrangement that will adorn your home all winter long. To meet the growing demand, Sailer’s Greenhouse will offer two workshops every Saturday during the month of November. Gather family or a group of friends and register today. Reservations are required. We do not require you to prepay for the workshop, so please only reserve a spot if you know you can attend. The cost of the workshop is free, you simply pay for the ingredients you use. Average cost of a container is $40-$75. You may bring your own pot, or we have a large selection of pots at various price points. Our 12” natural fiber pot is the most popular. It works well as an insert or sitting on it’s own. Please do NOT bring in ingredients from home. We encourage you to leave a space and add them when you get home.